A great deal of time in Goshin Jujitsu is teaching techniques in the context of “attack scenarios.” When practicing the techniques, the Tori is the person that is usually performing the defense technique, and the Uke is the aggressor, including defenses from wrist, shoulder, and lapel grabs, from pushes, running charges, bear hugs, chair defenses, and defense of chokes and headlocks, as well as multiple attackers. There will be times when the scenario turns around, and it will be the Tori who are the aggressor due to the opportunities that present themselves in certain “street” confrontations. 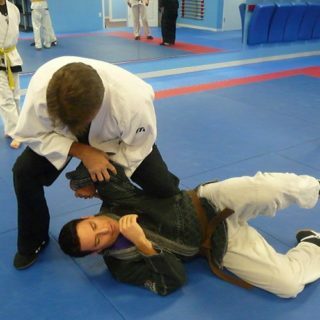 Training with other people is a fundamental part of Jujitsu training, and knowing how to deal with a variety of body types develops the sensitivity to know which techniques can work on which people, and which techniques are the most effective for your own body type. Likewise, while the Uke seems simply to be “the attacker that gets beat up,” it is more complex than that. Receiving techniques develops the reflexes to respond at the right moment, and ironically, only by receiving techniques do you really begin to trust them. Continued training presents progressively more advanced principles and techniques, throws, joint-locks, immobilizations, pressure points, poking, grasping, atemi, etc. 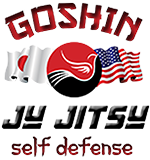 The primary surface difference between traditional Jujitsu ryu systems and a Goshin-Jutsu system is the focus on modern attack situations. Goshin-Jujitsu systems may utilize Japanese terminology, and present instruction in the form of kata, but these are not hard fast rules. Goshin-Jujitsu systems frequently utilize the Kyu-Dan ranking system. The normal training uniform is more varied, frequently with differences for mudansha (un-graded, or below black belt), and yudansha (black belt level). It is not uncommon for classes to be done with or without Gi tops or shoes. 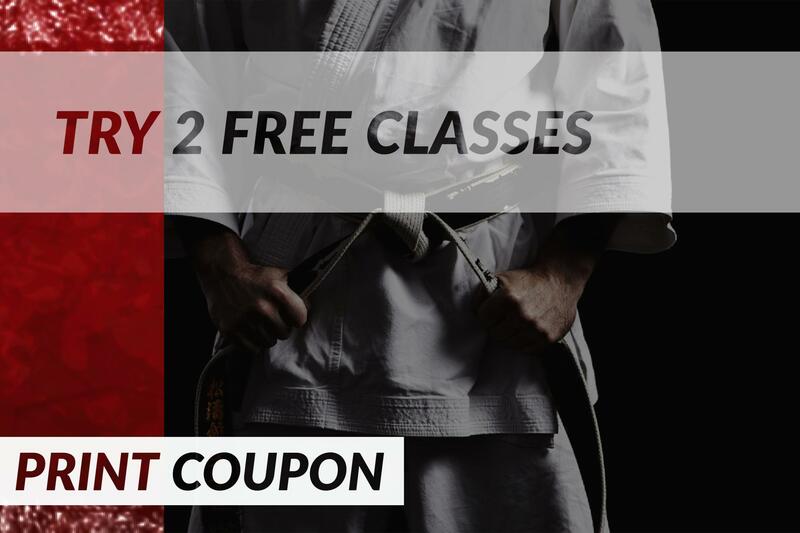 If you’ve been looking for a place to practice mixed martial arts and improve at an excellent martial arts school, Goshin JuJitsu of Lakewood Ranch in Bradenton, FL gives you every opportunity to succeed with our self defense lessons. Contact us today.